The term dogmatic has become something of a "dirty word" in modern Western usage. Personal opinions are considered all-important, especially in the areas of spirituality or philosophy. The modern person who asks someone for her opinion on a spiritual matter and receives the reply "I don't know, I shall ask my teacher" may regard her with scorn for not having "her own opinions" and depending on dogmatic answers. But conversely, if she asked a question on physics or chemistry, she would be horrified if the answer was simply made up by her respondent based on "how she felt". 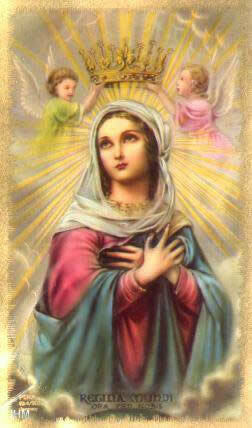 Hello, I am personally devoted to Mother God. However, one thing I do believe profoundly separates the spirituality in our hearts and the religions of civilization is the use of dogma. I do not believe in dogma on any universal scale other than simple rules of ethics like "harm none." I believe the Goddess does not truly have gender, for gender is nothing but part of animal nature. She is above it. I believe that I personally connect with deity as feminine while others do not. That does not make one better or more profound. To say it is more profound is dogmatic, and runs into the danger of becoming no different than organized religions. With all that said, I noticed the section on using living rather than ancient symbolism for private worship. I feel very deeply about this. I know this is just the opinion of those who created this site. However, the opinion is borderline dogmatic. No, we do not know the ways in which the ancient deities were worshipped. This is exactly why I found neo-pagan religions such as Wicca to be personally distasteful. They were based on misconceptions and, sometimes, misinformation given by pseudo-archaeologists. However, we do not know the ways in which living depictions of deities were originally worshipped either. To say they have have been worshipped in a way that has been unchanged and unhindered is naive. Therefore, it matters not how the original or ancient worship took place, in truth, for spirituality is a private matter. I believe more harm is done by restricting worship to living images of Mother God than is prevented. These images are most often Eastern. There is nothing wrong with this and they are beautiful. Yet, not all people (especially in the West) emotionally connect with Eastern symbolism. Your site suggests that Christianity became popular due to the fact that the Western pagan religions were problematic. The truth is that Judeo-Christian traditions were forced upon peoples in the West. If they had extended their influence Eastward during the Dark Ages, then the "Living Traditions" of the Goddess in the East would have likewise been replaced with Christianity. So, the living traditions, though beautiful, do not in themselves hold the key to their own survival as much as the more powerful and war-like patriarchal traditions simply did not extend their power Eastward at that time. This is all said with respect, please understand. 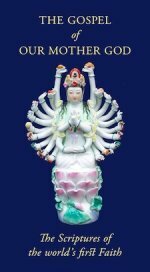 As a person whose heart is filled with adoration when I see an image of the Mother Goddess even from nonliving traditions, I find it important to have no dogma or restrictions on this worship. Certainly, there is no divine decree from Mother God about this. Such restrictions, as in all religions, cause me personally (and I imagine many others as well) to feel ostracized even from like-minded individuals. I am, by the way, a professor of philosophy and religion in California. My speciality is world mythology, philosophy, and world religion. Thank you for sharing your thoughts. They are valuable and important and I should like to explain our perspective in relation to them. I hope you will find this helpful. I should say that we are not a "Church" and none of our statements are intended to be binding on any. I should also say that this is not because we are in any way opposed to Churches or to organized religion. It is simply the case that we are not one. I am personally devoted to Mother God. However, one thing I do believe profoundly separates the spirituality in our hearts and the religions of civilization is the use of dogma. I do not believe in dogma on any universal scale other than simple rules of ethics like "harm none." An interesting point. A universal "anti-dogmatism" would of course be as dogmatic as any other dogma. But here you do not seem to take this position. You say that you do not believe in dogma on a universal scale, which I take to mean that you do not believe that particular dogmas have application outside the "economy" of the Tradition to which they belong. b) the credal statements of particular faiths or "spiritual economies" are right and necessary for them, and their "shepherdesses" have not only the right but the duty to formulate them. In the West these tend to take on a particularly "hard" and dogmatic form, because of the highly over-rationalizing nature of the Western mind which was in evidence even before the errors of the so-called "Enlightenment". Both dogmatism and anti-dogmatism are results of this Western tendency. While the excessive dogmatism which led to the schisms and anathemata of Christian history is one symptom of this, the anti-dogmatism of new-age and general modern "liberalism" is another extreme along the same axis of error. Both hyper-dogmatism and anti-dogmatism are, in our view, Western problems. However, the statement that the dogmatic formulations of a particular exoteric form are not applicable outside that form is clearly correct. I believe the Goddess does not truly have gender, for gender is nothing but part of animal nature. She is above it. I believe that I personally connect with deity as feminine while others do not. That does not make one better or more profound. We would disagree with the notion that gender is a part of animal nature. This in itself is part of the post-"Enlightenment" concept of a self-existent material "nature" severed from its archetypal roots. All manifest things have their roots in the Absolute. Nothing is merely animal, least of all gender. To say that Dea is feminine has nothing to do with saying that She is female – except insofar as biological femaleness is one very pale reflection of Universal Femininity. We entirely agree that those who worship God in other forms are perfectly in order, and it is not our wish to "convert" them. As for whether one form is "superior", the question is a difficult one for the Western mind. Every form is superior from within its own perspective, for to its followers it IS the Absolute. From outside its perspective, it may be seen as one approach to the Absolute. In our view it is proper – and indeed necessary – for each tradition to be immersed in the Absoluteness that God has granted it (the cultural absolutism of Western materialism/democracy is a secularized parody of this). It would be better if they did not attempt to impose that on others, but in a patriarchal world that is perhaps an expected concomitant of faith. To say it is more profound is dogmatic, and runs into the danger of becoming no different than organized religions. We do not regard either dogmatic formulae or organized religions as evils per se. The very fact that we recognize more than one as legitimate indicates that we are not bound by a "dogmatic absolutism", but we do regard both credal statements and organized religion as necessary part of the human relationship with the divine for most communities. The credal anti-dogmatic position of modern Western liberalism is the mirror image of Western dogmatism. It comes from the same stable – only backwards! With all that said, I noticed the section on using living rather than ancient symbolism for private worship. I feel very deeply about this. I know this is just the opinion of those who created this site. However, the opinion is borderline dogmatic. Once again the "dogma is evil" dogma is one we do not accept. No, we do not know the ways in which the ancient deities were worshipped. This is exactly why I found neo-pagan religions such as Wicca to be personally distasteful. They were based on misconceptions and, sometimes, misinformation given by pseudo-archaeologists. However, we do not know the ways in which living depictions of deities were originally worshipped either. To say they have have been worshipped in a way that has been unchanged and unhindered is naive. Therefore, it matters not how the original or ancient worship took place, in truth, for spirituality is a private matter. I believe more harm is done by restricting worship to living images of Mother God than is prevented. We are simple, cautious maidens and have stated our reasons for feeling that living images are safer for worship than ones that have lost all connexion with the traditions that produced them. That has been our advice, but it is no more than that – just advice. If a maiden has a deep spiritual experience in relation to a non-living image we would be the last to wish to deny that, or to deny that Dea may show Herself to Her devotees in any way She pleases. In a general way, if a maid asks for our advice (as some do) we say that living images are safer because that is what we, in all conscience, believe. No one need be bound by that. 'These images are most often Eastern. There is nothing wrong with this and they are beautiful. Yet, not all people (especially in the West) emotionally connect with Eastern symbolism. Your site suggests that Christianity became popular due to the fact that the Western pagan religions were problematic. The truth is that Judeo-Christian traditions were forced upon peoples in the West. If they had extended their influence Eastward during the Dark Ages, then the "Living Traditions" of the Goddess in the East would have likewise been replaced with Christianity. So, the living traditions, though beautiful, do not in themselves hold the key to their own survival as much as the more powerful and war-like patriarchal traditions simply did not extend their power Eastward at that time. We certainly give ample space to Western images of Dea in the form of Our Lady Mary. Why Judaeo-Christian religions – or rather Christianity – took root in the West is a complex issue, and to say they were "forced" to some extent begs the question: How did those particular forms come to be the ones that were "forced"? Why did a fully structured and very powerful tradition break down? Naturally in patriarchal societies, Traditions become (inter alia) instruments of power. But why is one instrument discarded and another taken up? The answer to this lies outside the mere power-equation (despite the dogmatic desire of Western materialism to see history in terms of exclusively material causes). But we don't think this matter is vital to our current discussion. Any and all love of Our Mother God is good. I hope we have never said anything to make anyone think otherwise. In conscience it is necessary for us to indicate – for those who seek such advice – which paths are in general safest and purest. But the love of Dea is not a thing that can be harnessed. She may come to anyone at any time through any of Her forms. If you wished to follow the Way of the Filyani, then you would be bound by the Filianic Creed. This might be a bad thing for you – though if you want an opinion, I would say that you would need to free yourself from liberal anti-dogmatic prejudice before you could tell for sure if it were a bad thing or a good thing. But that is really beside the point. Even the strictest Filyana will agree that there is really only one thing needful and that is to love Dea as the Supreme Absolute and Creatrix of All. Nothing else is necessary. Furthermore, many of us take the Filianic Creed not as a dogmatic statement but as a beautiful and poetic "support" to the love of Dea. Both approaches are legitimate and proper. 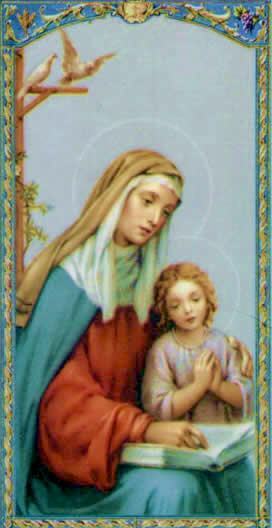 Some people do not regard the Creed at all, but simply devote themselves to the Mother. That is legitimate and proper too. Nor is it necessary (or desirable) to deny that other people see that same Absolute differently. There is nothing wrong with that at all. But as children of Dea, it is simply not our concern. But please be assured that loving Supreme, Absolute Dea is all in all. Nothing else is demanded. All other things are "extras" that may help some of us and not others. Please never feel ostracized. Every sister in Dea is a sister. And thank you once again for taking the trouble to share your thoughts.